So this one is a pretty simple modification for a more reliable spark for your Z31. 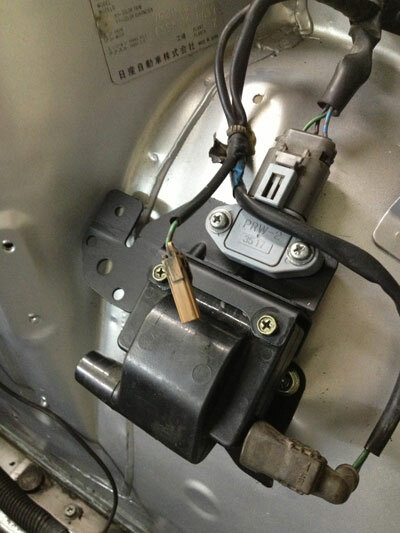 This Modification can also be used on the S130 as well using the method with the 2 wire unit. I will be posting a Video on our Youtube Channel in shortly and link it here in the coming weeks as I have a customer car (1985 300zx 2+2) that is getting a VG33ET swapped in and will use this upgrade. 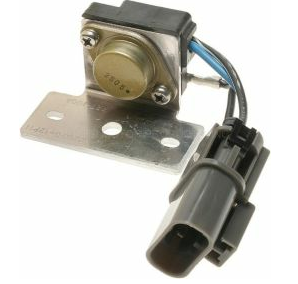 It is the transistor that charges/discharges the Ignition Coil. It can be found on a number of Distributor equipped Nissans. On the Z31 harness located on your drive strut tower behind the headlight (where the main ignition components are), you will find your current PTU. It probably looks like this. The PRW-2 is not exactly pug and play but close. 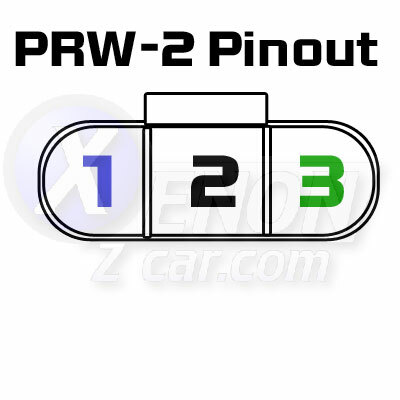 The issue with the newer PRW-2 is that there are two wires that have been flipped, or two contacts that need to be swapped on the Z31 harness. The procedure is simple and I have outlined it below. 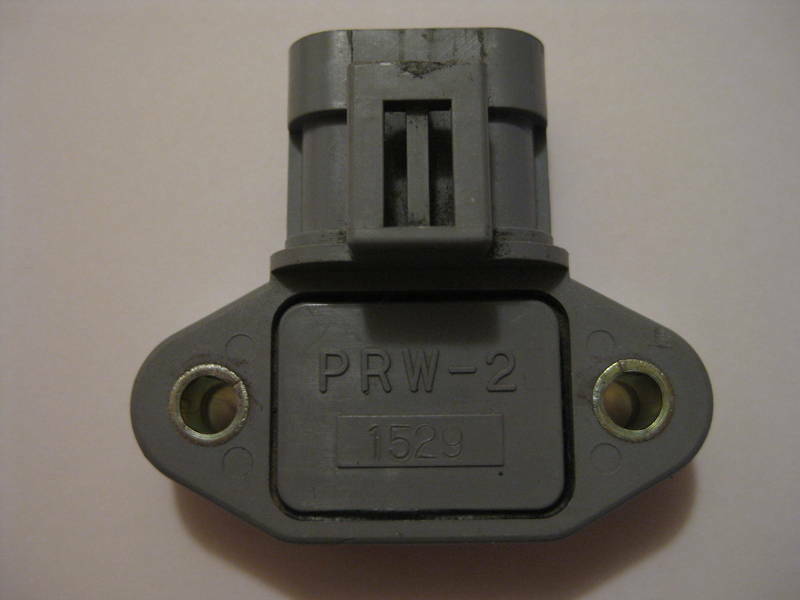 You must first remove the black housing clip on the back of the z31 harness grey connector to expose the seals on the back of the wires. All you need to do back here is to be able to see the seals. You do not interact with the seals or poke them at all. You need to remove this black housing clip to be able to pull the wires out. That's all on this side. Now to swap the Black wire with the Green/white wire. This is the only change needed to the harness. On early 84 models that had the 2 pin Power Transistor you will need to swap over the later style connector. The Wires are the same but you are missing the Black Ground in your harness so you need to add a chassis ground to the black lead off the connector after swapping the pins. To do so, insert a safety pin into the small rectangular hole just above the head of each of the contact pins from the INSIDE of the connector. 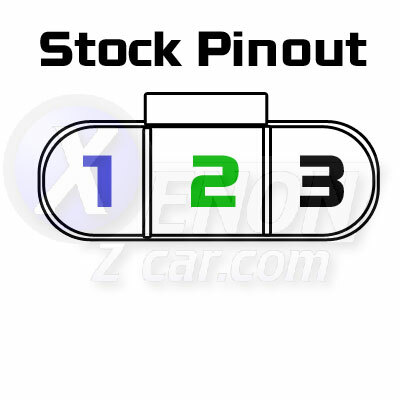 You simply lay the pin flat on the top of the connector contact, and slide it in until it stops. Do not force it in. It will slide off. You simple slide the safety pin in until it stops, and gently pry downwards so the retainer inside the connector is moved up and away from the contact pin, while GENTLY tugging on the back of the wire. DO NOT try and use pin removal tools from generic tool kits or whatnot. They are too large, cumbersome, flimsy, thick, or not long enough and bottom out on the connector body. Once you swap the wires you can then Plug and play. Just find a good mounting location in the same area making sure you have a good metal to metal contact for a heat sink. The Benefits for doing this modification is smoother idle and a quicker throttle response as the PRW-2 uses a newer and faster transistor. As our cars get older and parts more scarce this mod will be done more and more. 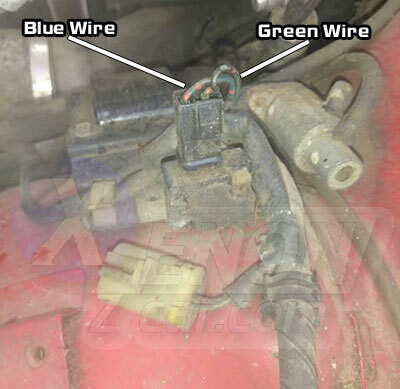 Even after market companies are starting to replace the old part with the PRW-2 part including a small sub harness that does the wire swap for you.